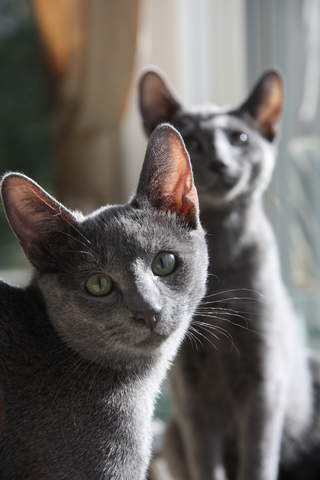 Russian Blues are also known as Archangel cats. 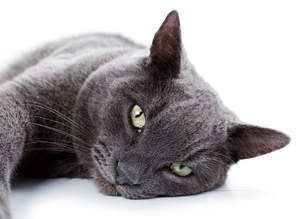 This is because the area that the breed originated is the Russian port of Arkhangelsk which is is situated on the White Sea about 150 miles South of the Arctic Circle. It is believed that the cats boarded boats with sailors and travelled to other parts of Europe. 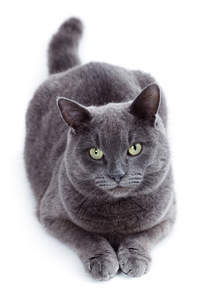 Russian Blues are one of the classic breeds with some of the the first cat shows in England featuring the Russian Blue. 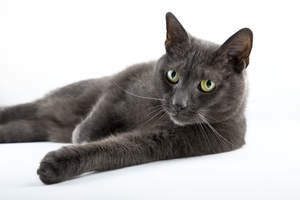 In these early shows (1880s) all blue cats competed in a ‘blue’ class but from 1912 onwards the distinctive Russian Blue was assigned its own class - the foreign blue. 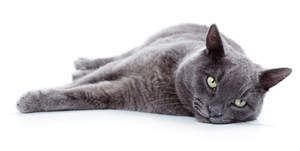 WW1 significantly reduced the number of Russian Blue cats and breeders sought to revive numbers by outcrossing to similar cats like the British Shorthair. 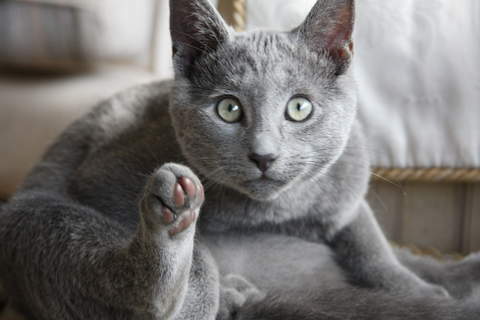 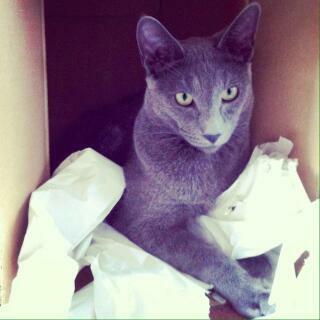 Russian Blues are independent and intelligent cats. 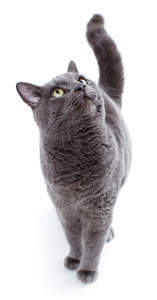 You have to earn their respect before they seek any attention from you. This means that they are loyal to their families but aloof with strangers. They are adaptable cats who are happy to be in a household with others cats, dogs and small children which makes them a good choice for a family pet. 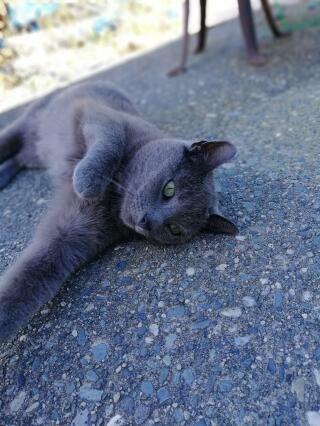 Always with a grey/blue coat and green eyes.